This is a program of depth and breadth – a training that will take your teaching skills to the next level, covering areas of yoga that are rarely taught by others! We feel honoured to serve you on this amazing journey and path of Oneness. We take great pride at SOYA in providing you with studies rich in philosophy, ritual, practice and spirit. It is important to us that our students experience Yoga as it was intended to be; an 8-fold path to enlightenment. Welcome! Namaste. 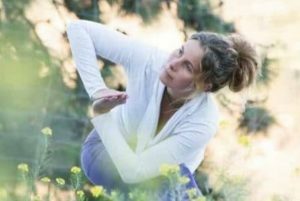 Join Natasha Scott, E-RYT500, in beautiful Penticton, BC at Starlit Yoga. Program begins Sept 6th, 2019 and runs to June 28, 2020! The training runs through the year, committing usually one weekend per month (3 weekends include a Friday evening and 2 months include two weekends in order to conclude before the summer). Cost for training is $4195 plus gst which includes manual, text books and supplies. EARLY REGISTRATION DISCOUNT – Register by July 6th and pay $300 less! ($4104.75 including gst) Payment plans are available and can be spread over the duration of the training. 2019 weekends are Sept 6-7-8, Oct 5-6, Nov 2-3, Dec 13-14-15. 2010 weekends are Jan 11-12, Feb 8-9, Mar 13-14-15, Apr 11-12, May 2-3 and 30-31, Jun 13-14 and Jun 27-28. Join Dorothy Fizzell, E-RYT500, and Jools Andres, E-RYT500, in the quiet location of Pitt Meadows! Cost for training is $4195 plus gst which includes manual, text books and supplies. Register by July 6, 2019 and receive $300 off! ($4104.75 including gst) Payment plans are available and can be spread over the duration of the training. Training weekends are: 2019: Sept 6-8, 21-22, Oct 5-6, 19-20, Nov 15-17, Nov 30-Dec 1, Dec 13-14. 2020: Jan 10-12, 25-26, Feb 8-9, 22-23, Mar 7-8. For more information contact dorothy.fizzell@gmail.com . Dorothy Fizzell began her yoga journey over 30 years ago. As a long-time student of Mugs McConnell, she was one of SOYA‘s first RYT graduates! Dorothy’s yoga career has had many outlets. 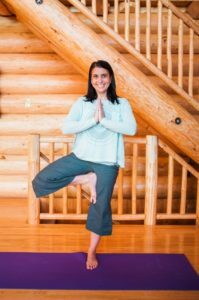 As an Early Childhood Educator and her love of traditional Hatha yoga she blended her yoga wisdom to develop and teach yoga workshops for young children. At the same time she pursued a path of Karate and has since achieved Shodan level and her first level black belt in Chito Ryu Karate. Her teaching style is eclectic and dynamic. 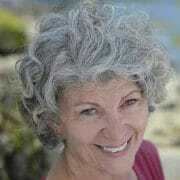 Dorothy helped establish the SOYA Yoga Teacher Training in Vancouver in 2005. She currently is the Lead Trainer for the Vancouver Program and the SOYA Distance Education YTT program out of Pitt Meadows, BC. She is a long time teaching member and the Canadian Representative of the International Yoga Teachers Association (IYTA), with headquarters is in Australia. Jools Andres has had a dedicated yoga practice since 2002 and started teaching in 2010. She has studied with Erich Schiffmann, David Swenson, Judith Hanson Lasater, Neil Pearson, and Robin Rothenberg, earning teaching certifications in Freedom Yoga, Ashtanga Primary Series, Experiential Anatomy, Trauma-sensitive Yoga, Yoga for Back Care, and Restorative Yoga. She holds a degree in Depth Psychology and Creative Writing and has completed two 200-hour YTT certification programs. A professional writer and editor since 1985, Jools was chosen as editor for SOYA co-founder Mugs McConnell’s acclaimed book Letters from the Yoga Masters. This excellent affiliation led to 500-hour certification with SOYA in 2014. She is a registered E-RYT 500 and YACEP with Yoga Alliance. In addition to her current teaching, writing, and editing work she is enrolled in a 1000-hour Yoga Therapy program in Vancouver, BC and Chennai, India, completion est. 2018. Join Cindy Szekely, E-RYT500, and Emma Faulkner, E-RYT500, at Intuit Yoga in wild and rustic Mackenzie, BC! Early Registration Discount – Register by June 23rd and pay $300 less! ($4104.75 including gst) Payment plans are available and can be spread over the duration of the training. Weekend dates are August 23-24-25, Sept 7-8 and 21-22, Oct 5-6 and 19-20, Nov 2-3 and 16-17 and 30-Dec 1, Dec 14-15, Jan 4-5 and 18-19 and Feb 1-2. Cindy Szekely started practicing yoga in 2002, and it was “love at first sight” practice. She completed the SOYA 500 hour Yoga Teacher Training program and excelled in her studies. 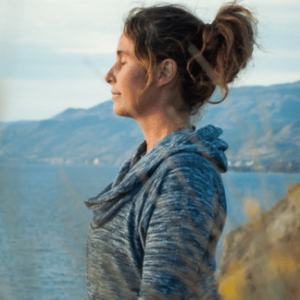 She now owns and operates Intuit Yoga in Mackenzie, BC. 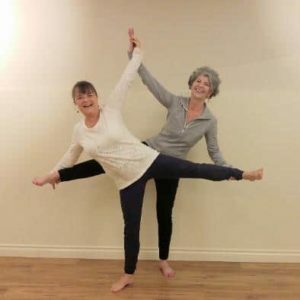 Cindy continued her study with Susi Hately of Functional Synergy providing her deeper knowledge in how to offer students with limitations a safe, comfortable approach to asana. Cindy has indepth training in the chakras and subtle anatomy with Anodea Judith. She leads international yoga retreats annually. Cindy loves the creative flow of vinyasa, the quiet release of yin, and the meditative quality of mindfulness. 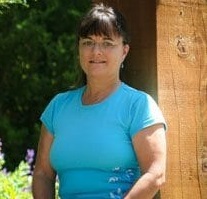 Cindy is a Lead Trainer for SOYA’s 200 hour and 300 hour advanced YTT programs in Prince George and Mackenzie, BC. 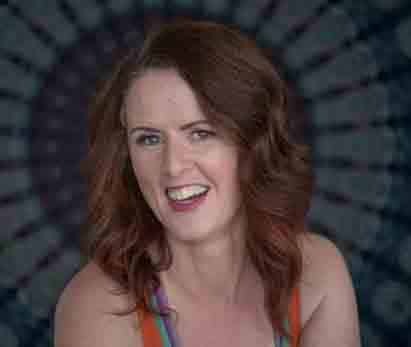 Emma Faulkner began her yoga practice in 2011, after walking across the street from her workplace to Chinook Yoga, with a desire to de-stress and unwind. She quickly learned that there is much more to yoga than a good stretch, discovering the many different formats, aspects, teachers and styles, and she was hooked! She completed her 200 hour SOYA teacher training in 2012, and shortly after that her SOYA 300 hour upgrade. Her favourite classes to teach are based on foundational hatha yoga formats, and she enjoys teaching students who are new to yoga, who are senior, who are coming to class with physical limitations, or who are coping with mental health issues. “Yoga is such a powerful healing tool for all of us!” Emma is a Lead Trainer for SOYA’s 200 hour and 300 hour upgrade YTT in Prince George and Mackenzie, BC. Join Cindy Szekely, E-RYT500, and Emma Faulkner, E-RYT500, in downtown Prince George at the Prince George Native Friendship Centre! Early Registration Discount – Register by Dec 7th, 2019 and pay $300 less! ($4104.75 including gst) Payment plans are available and can be spread over the duration of the training. Weekend dates are Feb 7-8-9, 22-23, March 7-8 and 21-22, April 4-5 and 18-19, May 2-3 and 16-17 and 30-31, June 13-14 and 27-28, July 4/5.